Some people mistakenly believe that only males can suffer from hair loss. Hair loss in women can be just as big a problem. It’s common for women to experience this as they get older. In most cases, women don’t start shedding hair at the frontal line like their male counterparts. Their hair usually falls out or becomes thin on the top half of the scalp. It’s very easy for women to see when they start losing their hair. Whenever you comb your hair, more than usually will be left behind in the comb. Female hair loss can be caused by many different reasons. If you wear your hair in certain styles, you may develop traction alopecia. The hair will be done too tightly and start to become damaged over time. This can be a problem if you frequently wear cornrows, ponytails, and tight braids. You may even start to lose your hair if you use certain dyes and chemicals on it. 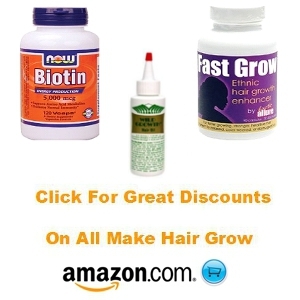 The hair follicles may become damaged over time thanks to these chemicals. Flat irons and blow dryers can also cause hair loss in women. Be careful when drying your hair with a towel and brushing too much too. One thing that can cause female hair loss is androgenetic alopecia. You should know that this is an inherited condition, more commonly known as female pattern baldness. Certain places of your hair will start becoming thin. Eventually, the areas will go bald. One of the most common causes of hair loss in women is chemotherapy. This treatment targets cells in your body that divide rapidly. This includes your hair follicles. Most of your hair will fall out soon after starting chemotherapy. The birth control pill can also be the problem. You should know that the pill leads to changes in your hormones. Whenever they stop taking the pill, some women will start losing their hair.